The Synergy Series KSW-12 subwoofer packs a powerful punch. It uses high-quality materials and the most reliable components to deliver deep driving bass that intimidates competing designs. The KSW-12 couples a 12-inch driver to the floor for optimal performance. Its high-output down-firing design "grips" the air and fills a room with low frequency energy that's heard and felt with undetectable distortion. The built-in discrete MOSFET amplifier and 12-inch fiber-composite woofer are as efficient as they are reliable. 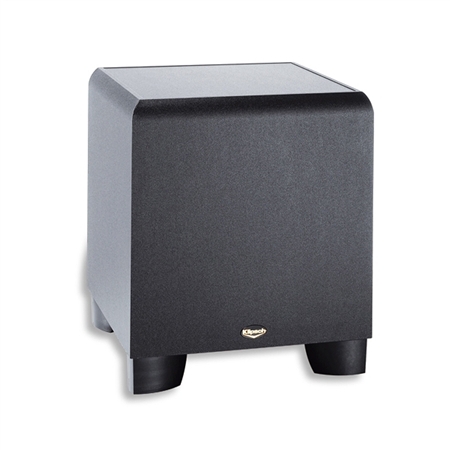 This subwoofer accepts LFE line-level and speaker level inputs. The classic jet ash vinyl veneer finish creates a deceivingly subtle exterior for its room-rocking capabilities.